I'm not receiving any email notifications. What's wrong? 1. Make sure your email preferences are correctly setup. In your notifications settings, you can specify what type of email notifications you'd like to receive. Sometimes, you might expect an email notifications that is currently disabled. 2. Check your spam folder. Since these transactional emails are sent automatically by our server, sometimes they might end up in your spam folder. 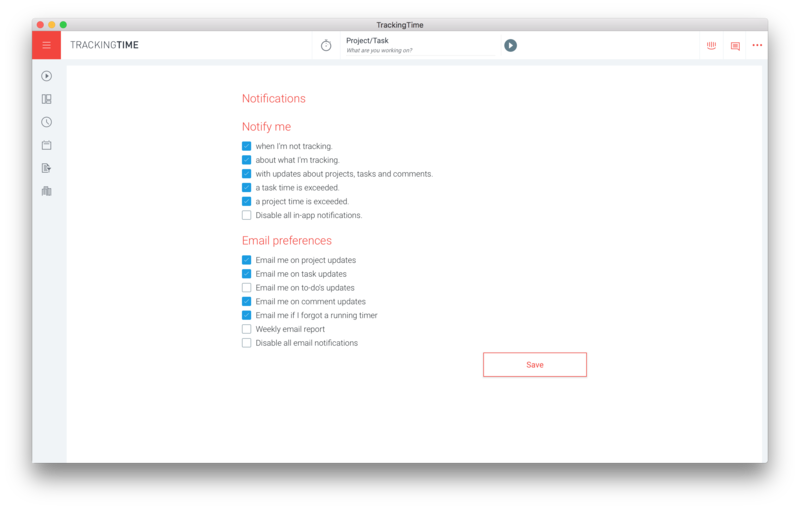 Search for emails sent by "no-reply@trackingtime.co". If you find them in your spam folder, please update your spam settings to whitelist our email address, so that they will not be blocked in the future by your email client. If your email notifications settings are correct and you don't find any emails in your spam folder, please reach out to us and we'll help you out.